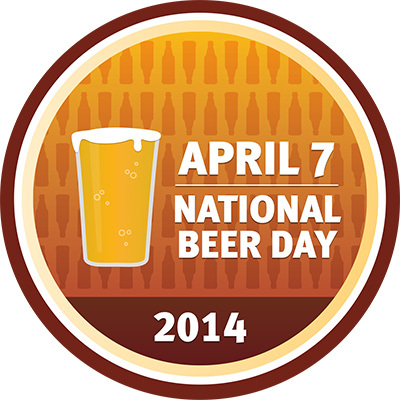 Happy National Beer Day 2015! To make non-alcoholic beer, brewers take fermented, non-carbonated beer and heat it up to around 78 °C (alcohol’s boiling point), to boil off the alcohol. Alternatively, you can also lower the pressure of the air around the brew, causing the boiling point of alcohol to decrease to near room temperature. Counting calories, but still want a tasty beer? The world-famous Irish stout, Guinness, is a pretty low-calorie brew compared to other non-light beers. In fact, a pint of skim milk has more calories than a pint of Guinness! Not all brewer’s yeast is the same. Strains such as Saccharomyces cerevisiae will float at the top of the tank during fermentation, while strains like Saccharomyces uvarum will sink to the bottom. According to 2012 data, the heaviest beer drinkers in the world, as calculated by annual per person consumption, are the Czechs, Austrians, and Germans. Americans are all the way down at #14. California is craft brew central! According to the Brewers Association, they have a whopping 381 craft breweries operating in the state. Last, but not least, the world’s most expensive beer (at least in 2012) is Sapporo’s “Space Barley”, which costs $110 per six pack. That’s because, as the name suggests, it was brewed from barley grown aboard the international space station in 2006.